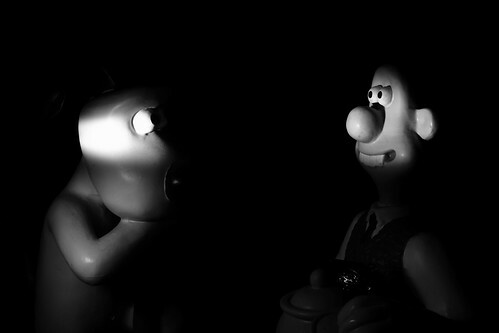 Trying to think of something that would fit the Theme Competition this week, I always thought wallace and Grommit did the film noir genre quite well in 'The Wrong Trousers'. My attempt to recreate that isn't entirely succesful. I wrapped some card and foil around my flash to try and limit the beam.